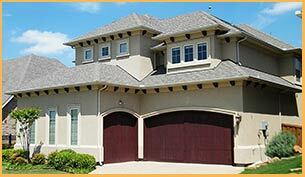 Garage doors are different from most other doors because they are situated in a very prominent location of your house. Apart from protecting your valuables and property, these doors can also add an aesthetic value to your frontal area to give off a good visual appeal. United Garage Door Service designs custom garage doors to suit your preferences and help you add a personal finishing touch to your beautiful house. Many customers think that getting a customized door will be a very expensive affair, and most of our competitors do overcharge for these services. At United Garage Door Service, we offer highly-creative custom garage doors without burning a hole in your pocket. And since we never compromise on quality, only the finest material goes into crafting them. We use top-quality polished steel, hand-pick materials like timber, fiberglass, and vinyl, and more. Who said that creativity must be restricted to only the interiors of your house? We have helped create thousands of elegant and beautiful garage doors over the years and our customers have thanked us for stepping up the style quotient of their houses. United Garage Door Service will offer you a wide range of designs to choose from and post that, our artisans will work dedicatedly to build a garage door that suits your personal style. From selecting the material to laying the artwork, we work hand-in-hand with our clients to ensure that the final outcome meets all their expectations. Be it a widely-popular carriage house door or an overhead sectional garage door, you name it and our experts will build it for you. We can build a wide variety of doors, depending on your needs, and customize them to give a modern look and feel to your property. Our range of stylish doors includes classic swing style doors, wooden garage doors with elegant frame-and-panel design, sliding barn doors, bifold garage doors, and more. 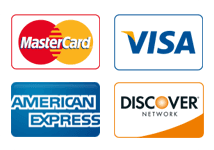 When you choose United Garage Door Service experts to build your garage doors, you get the best product with exquisite visual design, top-quality material, best market price, and a personal look and feel. Our skilled artisans work day and night to handcraft your garage doors so that you can flaunt your house to everyone in your neighborhood. 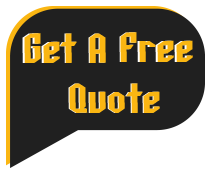 We are yet to be matched by any competitor when it comes to providing quality and pocket-friendly garage door services. Our highly-responsive team promises a rapid turnaround time and quality solutions to your garage door needs. We will help you at every stage of the process to deliver the best product, right from choosing the right garage door to picking out contemporary designs. If you’re in Salisbury, MA area, give your garage door an elegant makeover by calling us today!